AL-Azhar mosque is an Islamic mosque in Cairo, Egypt. Al-Mu’izz li-Din Allah of the Fatimid Caliphate felt absence of a mosque and he commissioned construction for the newly established capital city in 970. It was built under his supervision and it was the first mosque established in Cairo, a city that is famous as “the City of a Thousand Minarets”. The mosque was completed in 972 and the big day was on first Friday of June 22, 972 when prayers were held during Ramadan. It was built as a prayer hall with five aisles and a modest central courtyard, the mosque has since been modified multiple times with additional installations completely surrounding the original structure. The most fascinating thing is that, it is the second oldest continuously run university in the world. 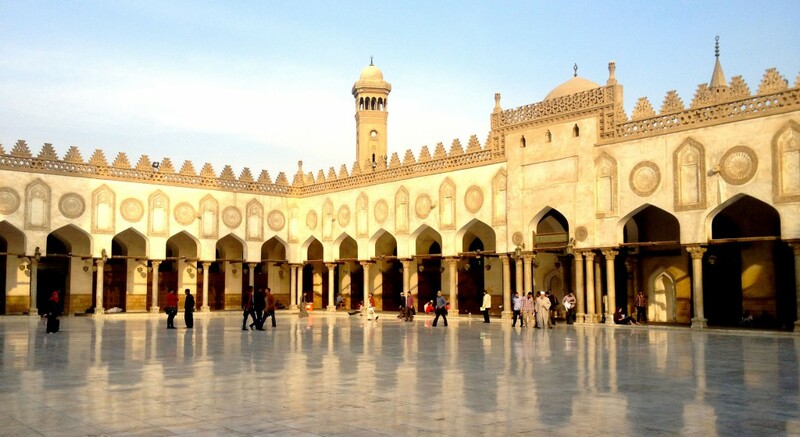 Al-Azhar University has long been regarded as the foremost institution in the Islamic world for the study of Sunni theology and sharia, or Islamic law. 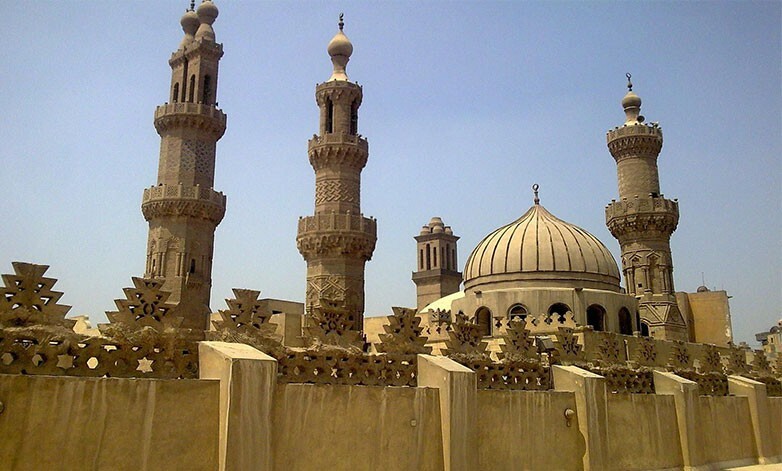 The architecture of al-Azhar is an imitation to the history of Cairo. Azhar is the masculine form for Zahra, meaning “most resplendent.” Its name is usually thought to allude to the Islamic prophet Muhammad’s daughter Fatimah, a revered figure in Islam. 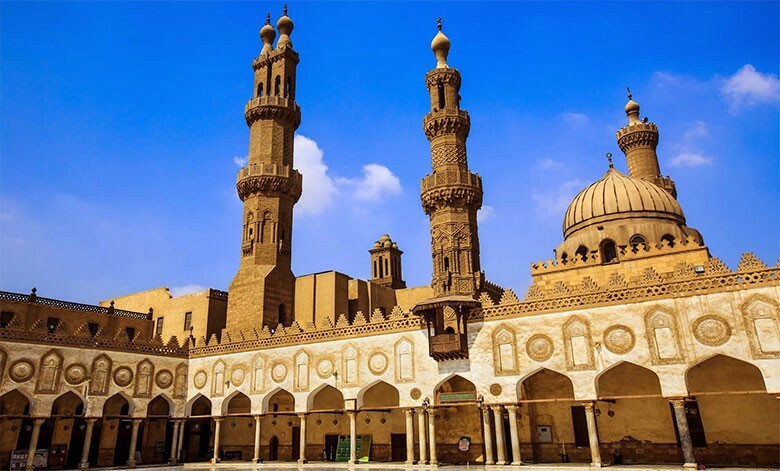 Al-Azhar soon became a center of learning in the Islamic world, and officially meetings were convened there. Under Fatimid rule, it has also played a vital role in the previously secretive teachings of the Ismāʿīli madh’hab (school of law) to the general public and it has a great effect on keeping the familiarity with the tradition. Al-Nu‘man ibn Muhammad was first to be a qadi (judge) under al-Mu’izz and placed in charge of the teaching of the Ismāʿīli madh’hab. Al-Azhar also served as a sole place for protests against the Ottoman occupation of Egypt, both from within the ulema and from among the general public.